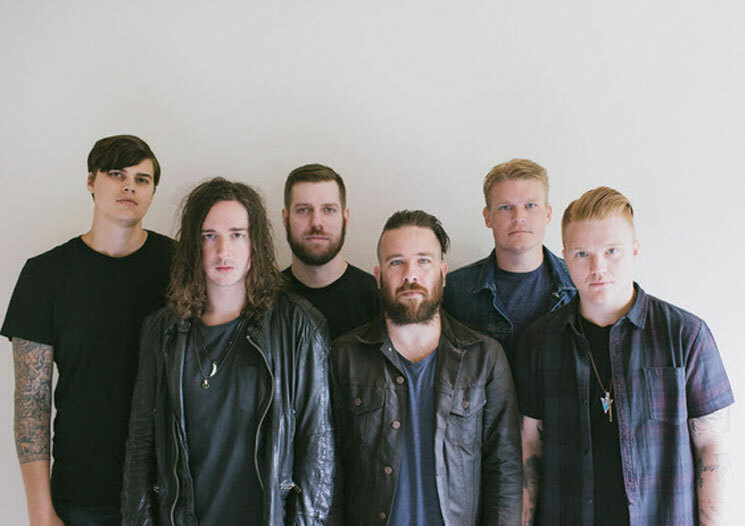 Christian metalcore act Underoath recently announced their resurrection for a stand-alone festival show, but the fun doesn't end there. Instead, the group have announced plans for a hefty North American tour. The run of shows is called the "Rebirth Tour" and sees the recently reunited group performing their albums They're Only Chasing Safety and Define the Great Line in full. Underoath will embark on their tour throughout the United States early next year. There's also a single Canadian show, with the band performing at the Phoenix in Toronto on April 19. In a press release, guitarist Tim McTague said, "I think the thought of Underoath playing again seemed really exciting. We never thought we'd ever even want to play together again, much less be as excited to do so. It was a really cool feeling, and when discussing what this tour could be, it just felt right to play the two albums that our fans have held dearly for so many years. I think it's going to be really special." Check out Underoath's full tour itinerary below.